The 2 and 3 Products + Buy now block's settings are very similar to the "Product Listing 1 and 3" blocks. However with these blocks, you can edit the product image if desired by clicking on the image element or on the blue pencil icon in the top-right corner. 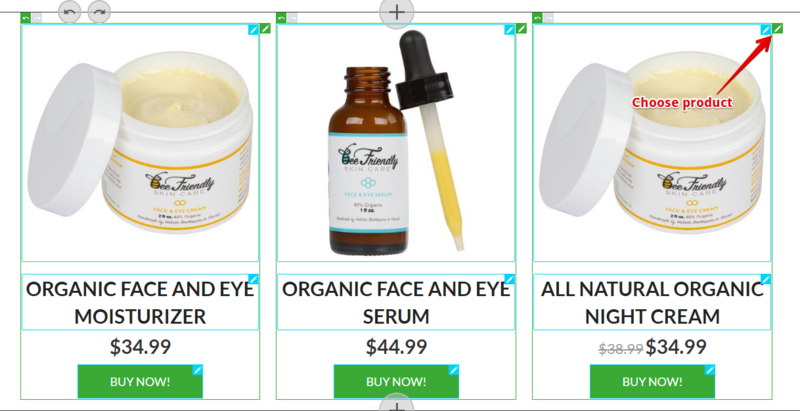 This block is great for a sales page where you offer tiered pricing on multiple product units. 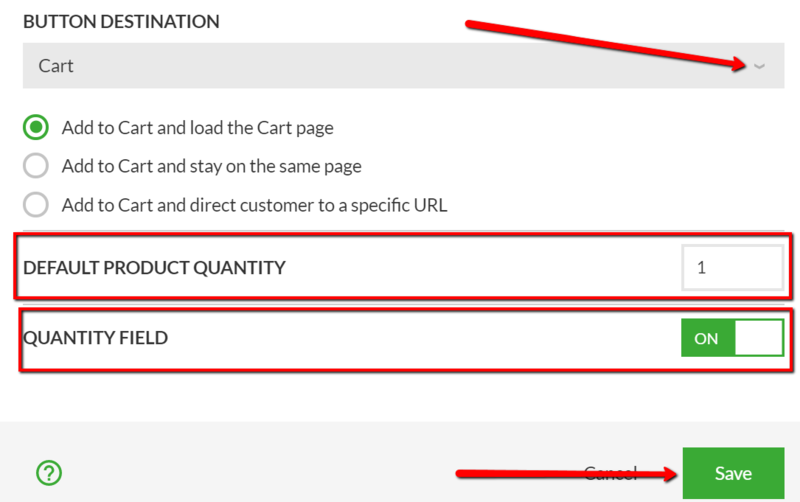 Or for presenting a sales page with multiple and various product options available. You can set a "Compare at price" value through Shopify and it will display this price crossed-out to the left of the actual price. Click on the green pencil icon in the top-right corner to add a product or to change the current product added. To select several variants you need to push and hold the CTRL button on your keyboard (CMD on Mac) while selecting the variants with the left-click button of your mouse.